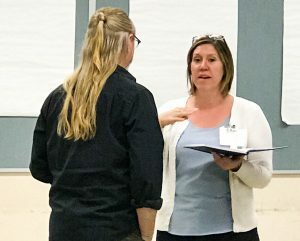 On May 11, 2018, The Equity Project visited Shasta College where faculty, staff and administrators from across the Far North region engaged in a lively, informative discussion regarding pedagogy and practices to increase online student success. 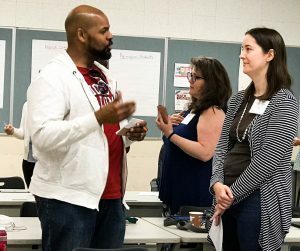 Participants connected with their “why” before exploring today’s students, equity, humility, and culturally responsive teaching and learning. 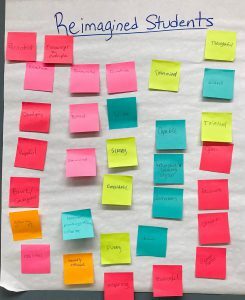 They then discussed learning barriers in the online learning environment and learned about equity-minded, student-centered tools and strategies to redesign the classroom, program, and department culture. 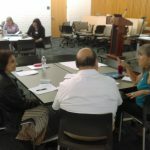 While creating an action plan to explore and embed these strategies and tools, participants were introduced to a CRTL online module (similar to the OEI CRTL in Online Class) where they could continue the day’s work, explore resources, and keep the equity discussion going. 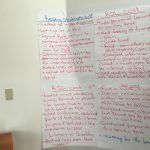 The response was positive, and one participant stated that, “I really liked reviewing the syllabi, as it’s a simple task we all can do.” We look forward to working with Shasta College and others in the region to continue this important work of increasing frontline and online student engagement, retention, and success. 3CSN Represents at ASCCC Part-Time Faculty Leadership Institute!